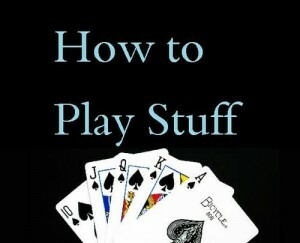 Hi and thanks for visiting howtoplaystuff.com! After acknowledging our intense passions for games, we decided to build a continuous project to display rules, instructions, random facts, and strategies for these activities. With the overwhelming advancement of technology in games, our hope is to preserve some of the classics that typically involve community and fun without the requirement of sitting in front of a TV/computer screen. We have turned comments off because of the unfortunate amount of spam that is submitted. If you have any questions or comments concerning this site or any of its posts, please email yepitsandrew@gmail.com and we will try to reply as quickly as possible. Have a great day!